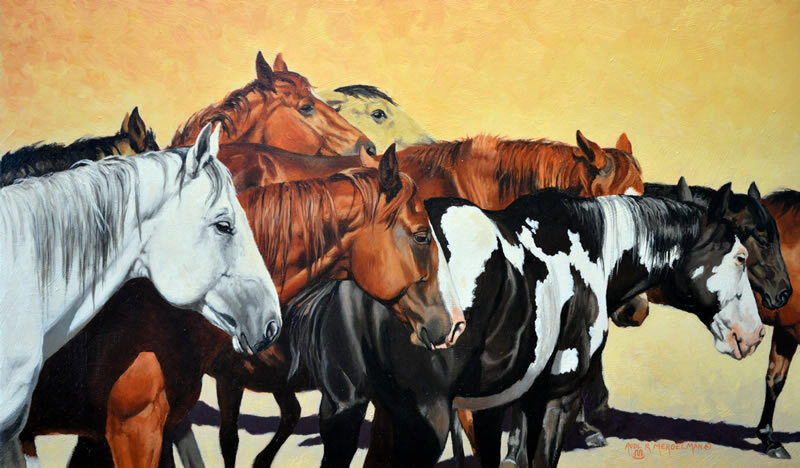 Painters, sculptors, craftsmen, writers and musicians have all been inspired by the American West with it’s history, lifestyle, critters and characters. The favorite character being the American Cowboy and the open range where he became legend. I believe that our infatuation with the American Cowboy is that his life encompasses everything we would like to have or be. 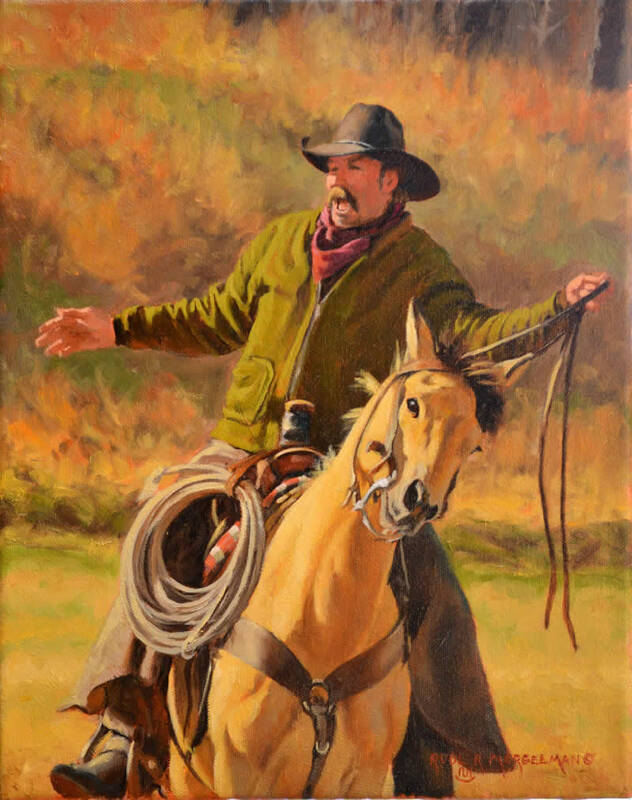 The wide open country, horses, cattle, wildlife, great clothes and gear, saddles, ropes, bits and spurs. He can go anywhere he likes with no road or rules. He is savvy and wise, ornery and tough yet righteous and proud. He is tall and handsome and always seems to find the only beautiful girl in Colorado whose dad owns a big ranch. The cowboy evolved into the rancher, farmer and those who all make up the western culture. I was fortunate to have lived at a time to know some of the last generation of the great cowboy era. The cowboys who hitched a team to travel or work, built their ranches and tended their cattle every season, every day. This not only inspired my art but hopefully my character as well. 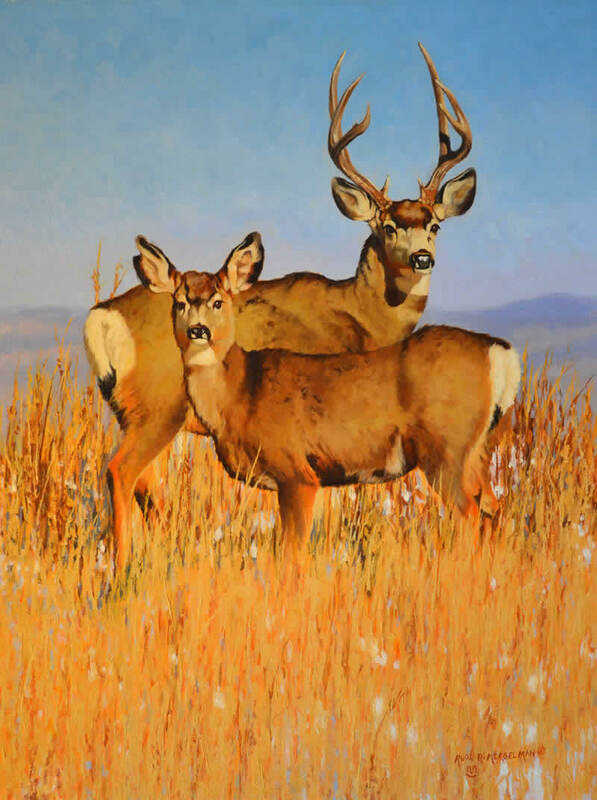 Wildlife is also a lure for the artist in the American West. The great herds have passed but fortunately we have protected the buffalo, elk, deer, moose, sheep and antelope so that they now flourish. The bear and lion still hunt the hillside and the coyote has dual citizenship, both urban and rural. The brook trout still swim the mountain streams and the hawks circle in a cerulean sky. It should be this way forever. Please enjoy my art and take a look at the West as I know it.